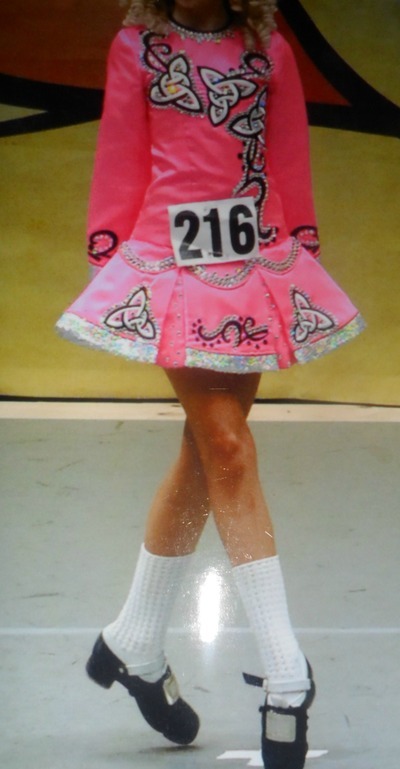 Pretty little Siopa Rince Open Championship dress suitable for small 8 to 10 year old. 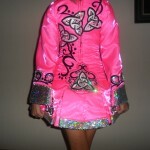 …Dress made of pink twinkle satin with silver sequence material on bottom of dress and end of sleeves. 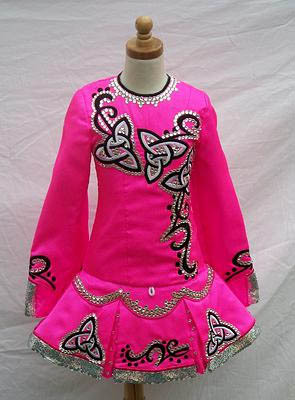 This light weight dress is covered with hundreds of swarovski diamonds and has unique Celtic embroidery on front and back. Dress includes knickers, headband and small leather dress bag.